60% PN, 25% Chardonnay, 15% Meunier, all harvested from thirty different crus in Champagne, with the Pinot Noir and Chardonnay grapes coming exclusively from grand and premiers crus. Mostly steel vat fermentation with the grand cru and a portion of the premier cru grapes undergoing their first fermentation in oak barrels. A blend of the two previous years’ harvest in equal amounts with 5-10% reserve wines, kept in magnum, for five to ten years+. A minimum of three years maturation in cellars before disgorgement. Another three to six months rest in bottle. Dosage: 8 g/l. This is lot # L 1219226, so disgorged sometime between April and July 2012. Yellow-gold. Last bottle on a case of this lot. Took this heart of gold and melted it down and the wine now shows a peacock’s tail of yellow orchard fruit and toasted brioche. As savory as meat and two veg. Now – 2022+. Yellow-gold. Bold, heady, reductive nose with a savory streak: autolytic citrus and orchard fruit, aniseed, lemon bundt cake. Just a touch of spice now. Quite streamlined and explicit on the palate, yet the fruit is glossy, fullish and concentrated: apple dew, lightly poached pear, some madarin orange peel with air. Lingering, mineral finish. 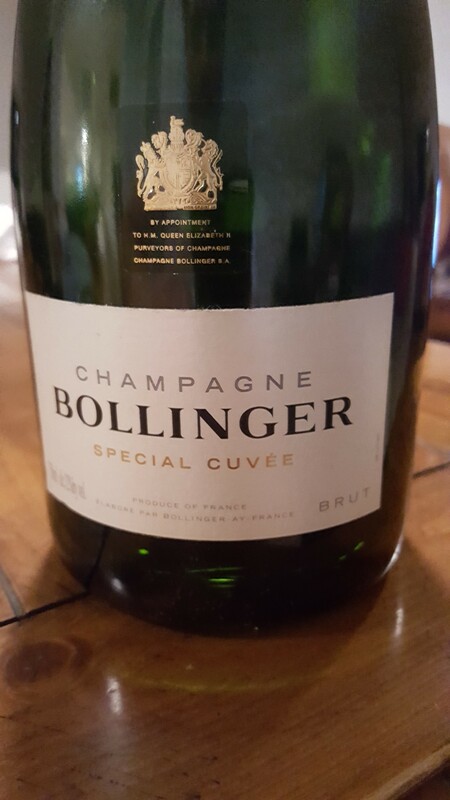 Kinetic, sleek and low-fat for Bollinger Special Cuvée. The barrel-aged component gives this structure, gravitas and a bit of tannic grip. Those expecting more weight, toastiness and oxidative notes just need to hold onto these for a couple years for the more voluptuous Bollinger to emerge. Now – 2022+. One of my favorite champagnes!